My two friends and I had a lovely spring break vacation here! The staff are friendly and helpful, and the hostel itself is bright, clean, and cheery. It's very well-located and the free breakfast is a wonderful bonus. We had a great stay! The atmosphere is welcoming and home-like. I loved the pancakes, coffee and tea in the morning. I definitely recommend and will visit again if I make a trip back to Montreal. I liked the ambience, and the staff were friendly and helpful, especially the guy on the later shift. I also really appreciated the sink in my room. The A/C unit made strange noises throughout the night, but nothing I couldn't sleep through. 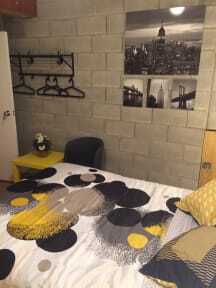 Great hostel in a central location. Mellow, quiet, friendly atmosphere. Really enjoyed this hostel, nice staff, big comfortable common area. Good facilities and fast wifi. Fantastic roof top view, great pancake breakfast, lovely architecture and tastefully styled common areas. Low key & quiet atmosphere on a weeknight stay for those of you wanting a nice and easy introduction to Montreal. Very friendly staff, good amenities and in a great location. This was my second stay here and I would stay here again for a future trip to Montreal. Had a very lovely stay Le Gite. Came in early-middle of March so it wasn't peak season travel, so my stay was very quiet and pleasant in my 6-person hostel room. The breakfast had a very good variety of foods (fresh oranges and pancakes!). 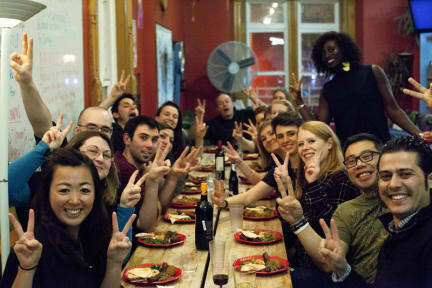 Would have loved the hostel to hold more events or dinners together with the guests so that we could meet other people. With me being the only one in my hostel room, found it hard to interact with others. Would definitely come stay again during the summer! Very clean hostel and helpful staff. If you like walking around this is a great location, it's possible to reach all major touristic points by foot. Bonus for the breakfast which is above average for hostels! Great staff and overall a pleasant stay. My only complaint is with other guests, but that cannot be helped.